Licorice root powder has huge benefits on system of body and also some benefits of skins and throat and stomach and much more benefits on hair and body. 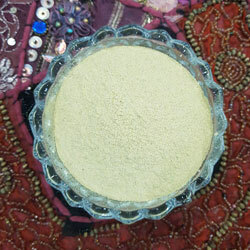 We Produce Licorice root powder (Liquorice root powder). We can produce Liquorice root powder with any Analysis that you may want. Licorice also appears to enhance immunity by boosting levels of interferon, a key immune system chemical that fights off attacking viruses. It also contains powerful antioxidants as well as certain phytoestrogens that can perform some of the functions of the body's natural estrogens; very helpful during the menopause. Glycyrrhizinic acid also seems to stop the growth of many bacteria and of viruses such as influenza A. It has an aspirin-like action and is helpful in relieving fevers and soothing pain such as headaches. Its anti-allergenic effect is very useful for hay fever, allergic rhinitis, conjunctivitis and bronchial asthma. Possibly by its action on the adrenal glands, licorice has the ability to improve resistance to stress. It should be thought of during times of both physical and emotional stress, after surgery or during convalescence, or when feeling tired and run down. Licorice eases congestion and coughing by helping to loosen and thin mucus in airways; this makes a cough more "productive," bringing up phlegm and other mucus bits. Licorice also helps to relax bronchial spasms. The herb also soothes soreness in the throat and fights viruses that cause respiratory illnesses and an overproduction of mucus, such as irritating coughs, asthma and chest infections. Licorice both protects the liver and promotes healing in this vital organ. The herb's anti-inflammatory properties help calm hepatitis-associated liver inflammation. Licorice also fights the virus commonly responsible for hepatitis and supplies valuable antioxidant compounds that help maintain the overall health of the liver. The phytoestrogens in licorice have a mild estrogenic effect, making the herb potentially useful in easing certain symptoms of PMS (premenstrual syndrome), such as irritability, bloating and breast tenderness. Although the glycyrrhizin in licorice actually inhibits the effect of the body's own estrogens, the mild estrogenic effect produced by licorice's phytoestrogens manages to override this inhibiting action. Recent studies have found that by limiting the damage from LDL ("bad") cholesterol, licorice may discourage artery-clogging plaque formation and contribute to the healthy functioning of the heart. Research indicates that modest doses of licorice (100 mg a day) have this effect.